Canadian toyco Spin Master is releasing PAW Patrol: Mighty Pups on DVD, along with an companion toy line, exclusively at Walmart. 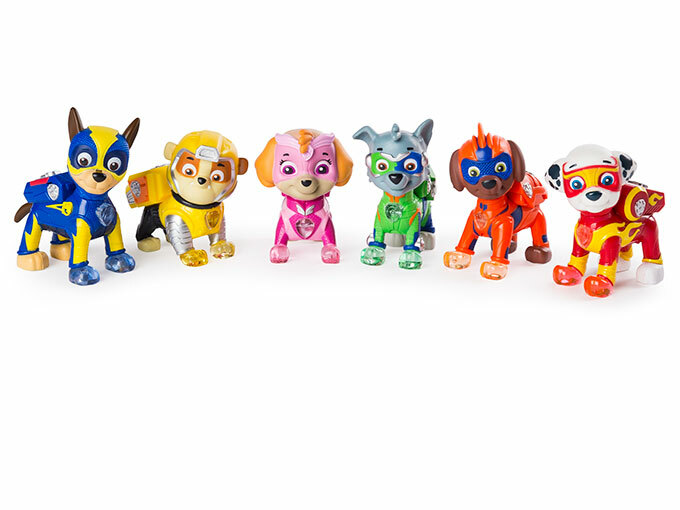 Spin Master is expanding its PAW Patrol offerings with a range of pup-themed products inspired by the new PAW Patrol: Mighty Pups movie. For ages three and up, the collection includes plush toys, figures and a transforming toy car—all of which will be available exclusively at Walmart. Retailing for US$15 and available on DVD at Walmart before its TV debut, the movie focuses on the classic PAW Patrol characters, who gain superpowers when a meteor strikes their hometown. The toy line includes eight-inch and 24-inch Mighty Pups plush, light-up figures, a six-pack gift set (pictured) and a two-in-one toy car that transforms from a police cruiser to a helicopter. The PAW Patrol property achieved a new milestone in popularity recently when it was named the top kids license in the US across all ages and product categories by independent market research firm NPD. 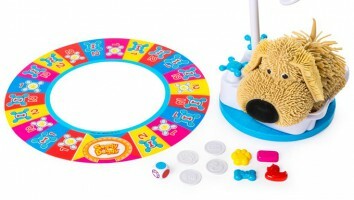 To capitalize on that success, Nickelodeon has launched new SKUs in categories spanning arts and crafts, construction, costumes, furniture, books, greeting cards and tech, and its partner roster now includes Israel’s Wise Toys (plush smartphone and tablet protectors), UK retailer Smyth’s (vehicles and pup sets) and TY (Beanie Boos). 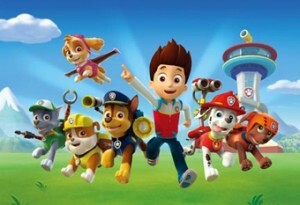 The massive success of PAW Patrol’s retail program has led to the expansion of location-based extensions featuring the brand among other Nickelodeon properties, including a theme park in Asia slated to open in Chongqing, China in December 2020 and a live stage production that has toured more than 135 North American cities since last October.